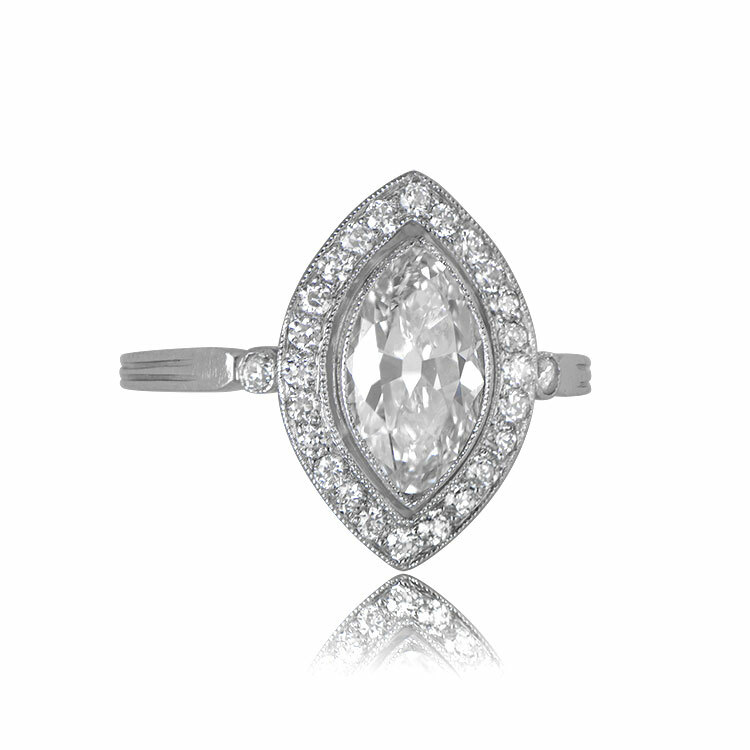 A lovely antique Marquise cut diamond and diamond halo ring that centers a 1.30 carat center diamond, I color, and VS2 clarity. 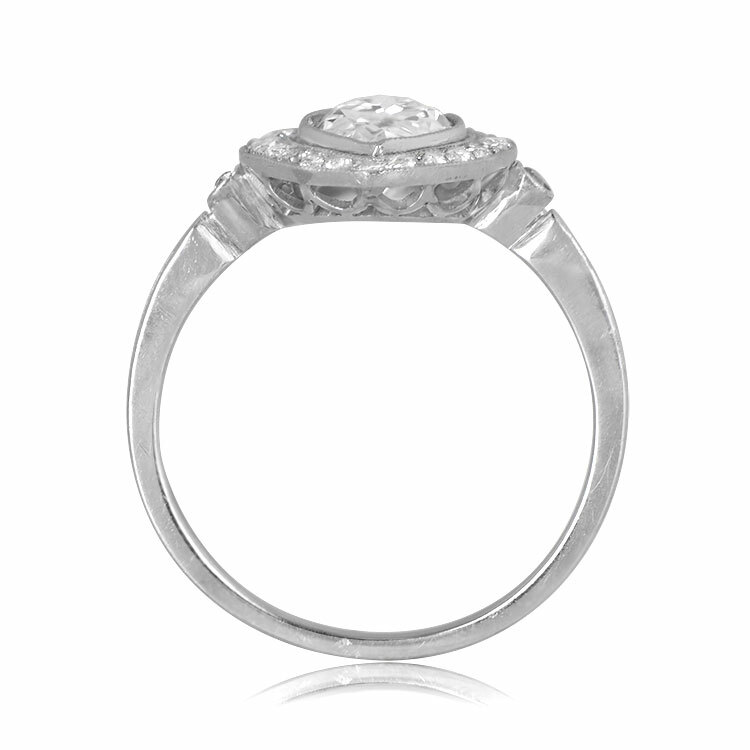 Surrounding the center diamond is a row of diamonds following the shape. 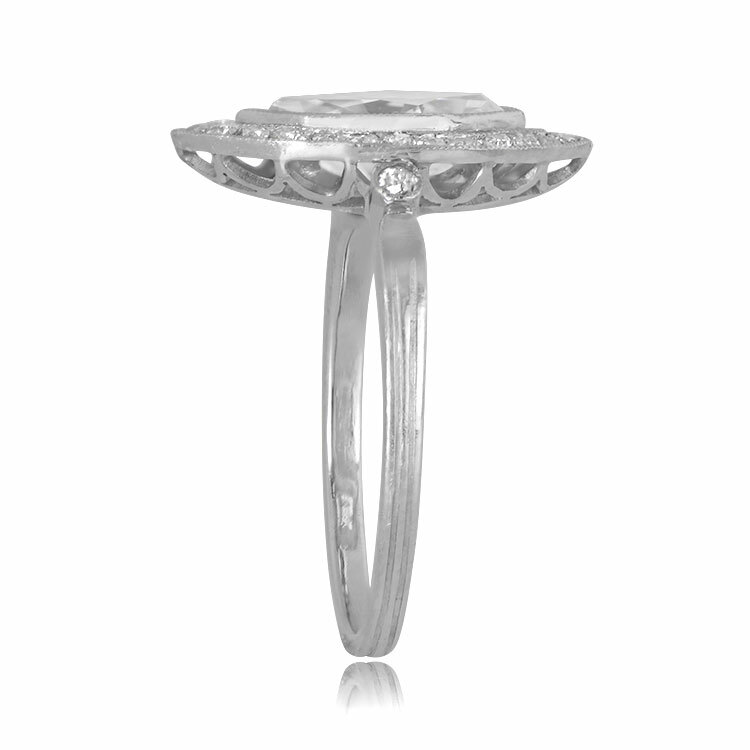 One diamond is bezel set in each shoulder and two engraved lines run down the shank of this platinum ring. 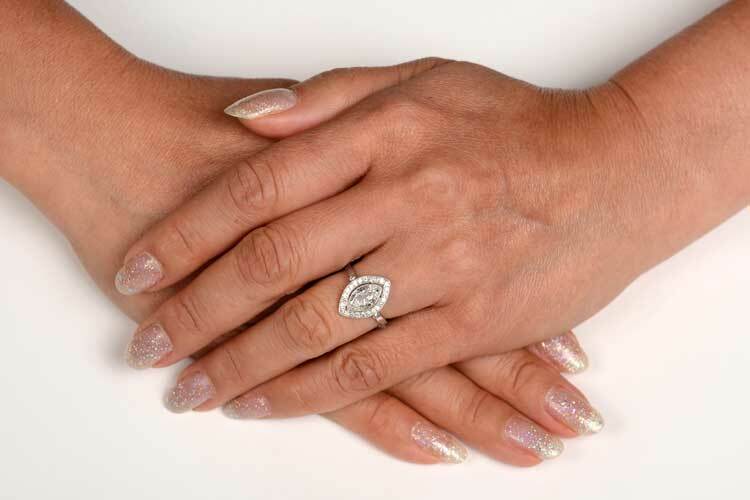 This ring is vintage. 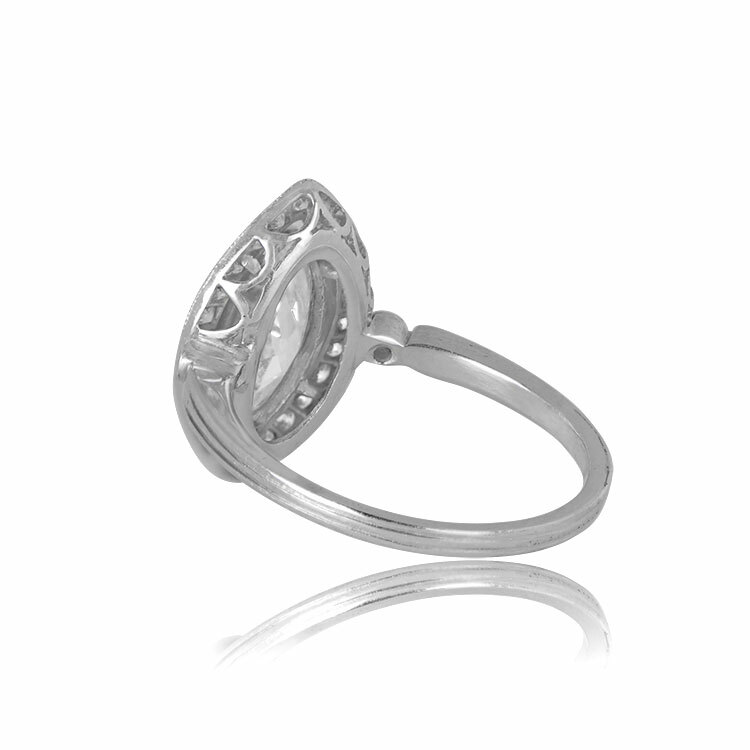 The current size of this ring is 6.5 and can be resized at no extra cost. 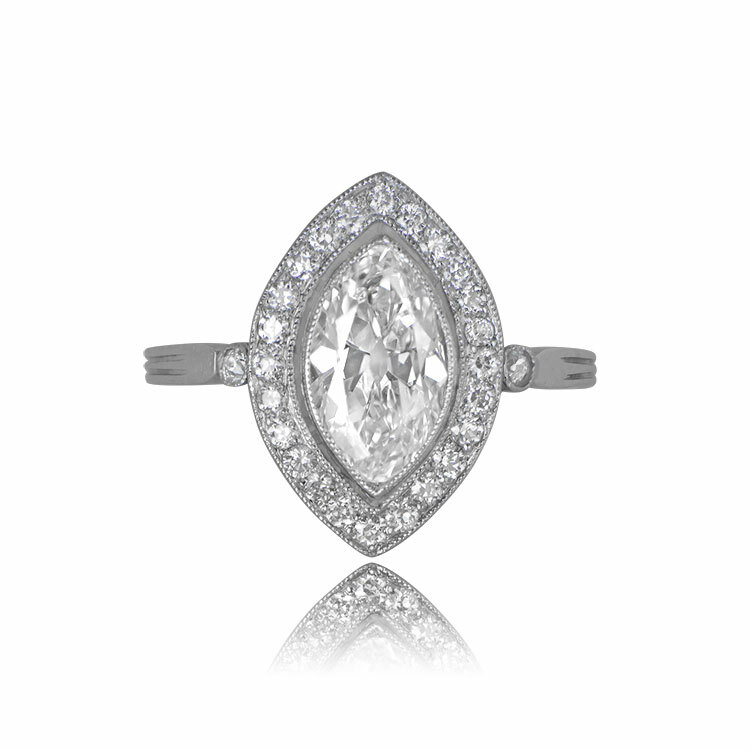 If you have any questions about this Marquise ring, please feel free to contact us. 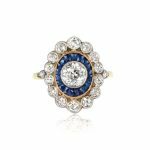 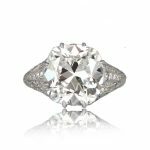 SKU: 12178 Category: Vintage Engagement Rings Tag: Elongated Engagement Rings - Contact us and request additional pictures.